So... I started this year not knowing what to expect - all I knew was that I LOVE what I do and I've worked hard to grow my little brand into somewhere people choose to #shopsmall! Thanks to my amazing fiancé my workshop got a bit of a make over [well a lot of a make over!!] so I now have laminate flooring to sweep up my threads and trimmings and white walls that make a great backdrop for my pictures! 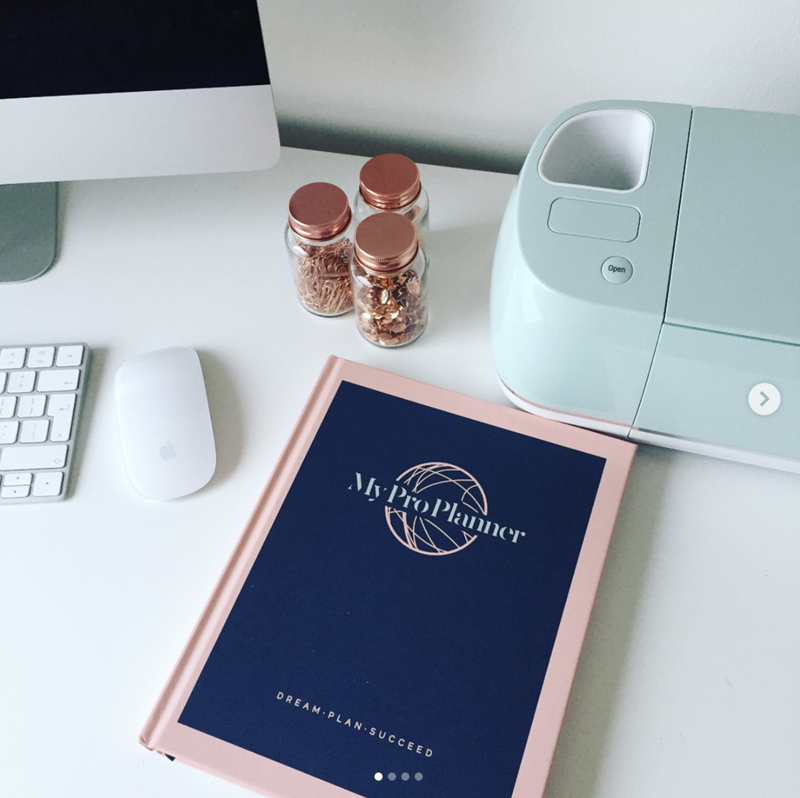 I also purchased a My Pro Planner so I could write down all my goals and dreams - and of course baby brain means I NEED to write things down now! One of the goals in my planner was to 'have my own website before 2018 is over' and hey-ho... January isn't even over and here I am! Maybe I'm just impatient, but so many people place orders through social media that I thought it time to give you somewhere to browse my favourite pieces, create your own account and also make the most of exclusive offers I'll be running! Oh yea, and I built this during my 10 month olds nap time! Who'd have thunk it! Hi, I'm Tara, Mummy to my little shadow Henry! I started Whoopsie Daisie [as most Mummy run businesses do] whilst pregnant with him - it all began when I was searching for certain items on the high street and online - I either couldn't find what I was looking for, couldn't find nice ones, or they seemed to cost the earth for what they were! So 'Whoopsie Daisie' was born! I've been sewing for around 10 years now, but I re-found my passion about a year before starting Whoopsie Daisie, thanks to an amazing local studio 'The Vintage Sewing Bunny' [if ever you're St.Annes/Lytham/Blackpool way you must go say hi!] I started making bits for Henry before he was born, this then turned into friends/family asking for bits and bobs as gifts and then all of a sudden orders were coming in from real life customers! And from there I've worked hard at growing my brand and bringing you unique personalised gifts! I hope you love what you see as much as I love making it all! It is a little crazy running a business along side a 9 month old, but he is such a treasure and I now have a workshop at home which is my little escape during nap time! I have massive hopes and dreams for my little brand, and every time you purchase something I get one step closer! Special gifts to cherish shouldn't cost the earth and as a Mummy I want my little boy to grow up seeing his Mummy working hard towards a dream with dedication, optimism and love. On Monday [15th Jan 2018] Whoopsie Daisie is 1 year old!! WOWEEE! Though I didn't properly start making/developing my lines until around September 2017 after moving house and giving birth was out of the way! Don't see what you're looking for? Send me a message - custom orders are my favourite! Lovely image captured by Roger Moore Photography of me and my Little Hen just before Christmas in our Whoopsie Daisie designs!